Dr. Deirdre Rhoad, Board Certified Plastic Surgeon. What does the FX CO2 Laser do? The FX CO2 laser is the gold standard in removing wrinkles and skin resurfacing. The application is minimally invasive while delivering powerful results– with less down-time than that of traditional lasers or surgical procedures, such as a face lift. The treatment projects small beams of energy light into the skin. This jump starts and accelerates the body’s natural collagen production. What treatments does Dr. Rhoad perform with the CO2 laser? Dr. Rhoad performs both the Active FX and the Total FX. The difference between these options is the intensity, or depth of treatment. Typically, these treatments are applied to the face, neck and/or chest areas. The Scar FX treatment can be performed on targeted areas of the face or body, as appropriate. Limited area treatment is also available, such as areas around the eyes or mouth. The first week to two weeks constitute the biggest downtime following laser resurfacing. During the first week, treated skin is red and ablated. The patient will want to remain indoors. After the initial recovery phase, the patient may have residual redness for some weeks. However, this can be camouflaged with mineral makeup. Sun exposure must be avoided for a full six weeks following treatment. The price for the FX CO2 laser resurfacing treatment, as an in-office procedure, ranges from $2900 (Active FX) to $3900 (Total FX). For a limited time, Dr. Rhoad will treat the face, and include the neck and chest at no additional cost. A dramatically smoother, fuller and more youthful appearance. Patients who have received the FX CO2 laser treatment will first notice improvements with wrinkle reduction and smoother skin. Because the treatment stimulates collage, it promotes tightening of the skin over time. The treatment can also significantly improve acne scarring. See Before-and-After CO2 FX Laser Treatment pictures on the Rhoad to Beauty website! The effects of the CO2 laser resurfacing may last eight to 10 years. Where can I learn more about laser skin resurfacing? The American Society of Plastic Surgeons is a reliable source of information about laser skin resurfacing as well as the full range of cosmetic treatments and surgical procedures. Fall and Winter weather can be harsh reminders of the importance of daily skin care. In any season and at every age, the most basic skin care should include a gentle cleanser, moisturizer, and sunscreen every morning—even on cloudy days! Beginning with your 30s, you may consider adding an antioxidant serum and eye cream to your morning routine. In the evenings, it is generally recommended to follow your wash with an exfoliating product containing a retinoid or glycolic acid to stave off wrinkles and sun damage. Product choices will depend on your skin type, age, and personal goals. Rhoad to Beauty offers medical grade skin care products in the following lines: Epionce ™, Image ™, Skinceuticals ™, and Skinmedica ™. These products offer higher concentrations of the most effective ingredients at prices comparable to those of department and drug store products. A free consultation with a licensed aesthetician is the first step toward choosing your best products and skincare routine. 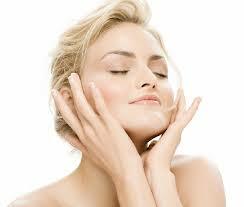 At Rhoad to Beauty, Molly Teeple is available for a service consultation to discuss your skin care free of charge! Please call (512) 476-9149. What is an IPL Photofacial? Why do I want one? My complexion has always been my Achilles heel. I spend a lot of time outdoors. And I wear sun block faithfully. But over time, it seems no matter what I do, I get sun damage on my face. I get both brown spots (ugh!) and smaller white spots. Lately, I have noticed more of those unsightly spots on my chest and arms, too. Then I discovered photofacials at Rhoad to Beauty.